GlobalSat Tracking is a web based integrated satellite and GSM tracking solution, compatible with modern web browsers and works on a multilingual platform that brings together all the positions of every manufactured product under one location and displays and manages them in a single unified interface. With GlobalSat Tracking, asset locations and movements - including position, speed, altitude and heading - are tracked in real-time worldwide via GPS updates. It's never been so easy to track your personnel, vehicle or assets, whereever they are! With so many hardware options available on the market, why not use one simple, universal web-based platform to bring them all together? 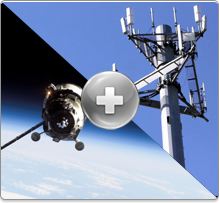 GlobalSat Tracking allows several channels of communications options to be integrated into its system, and let's not forget the numerous manufacturers we support as well. From Iridium to Inmarsat, Blackberry to IPhone, GlobalSat Tracking can monitor anything, anywhere in the world. Well-known safari guide and bush expert Daryl Dandridge and two friends, Josh Iremonger and Lawrence Drotsky, are about to embark on a 370km walk through northern Botswana. They start the epic walk at the Zambezi River Kazangula Ferry border post on November 3 and finish at Okavango River Lodge on the banks of the Thamalakane River in Maun on November 23. The walk has been named Daryl’s Walk. Daryl is 72 and has decades of bush experience. The aim is to raise awareness for men’s health through the ever-growing Movember Botswana and the Cancer Association of Botswana. With over 50 supported hardware units, over several manufacturers, GlobalSat Tracking can deliver a unique, yet diverse, tracking solution. GlobalSat Tracking can perform seamlessly while continually updating up to 40,000 live positions, without having to refresh the screen. GlobalSat Tracking has over 50 hardware options available with more than 20 manufacturers products. Because GlobalSat Tracking is so universal, most likely we can accommodate whatever current hardware you have. Should you require specific functionalities from our diverse reporting system, allow us to recommend the most appropriate hardware. GlobalSat Tracking is all about simplicity and ease of use. That's why it was important to have seamless, over-the-air firmware updates. No need to disconnect terminals, or lose a break in service; GlobalSat Tracking eliminates the worry of having to manually update new firmware. Copyright © 2019 GlobalSat Pty Ltd. All rights reserved.